A very flavorful poori with the hint of various spices such as carom seeds, fenugreek leaves, fennel seeds and many more is Masala Poori. 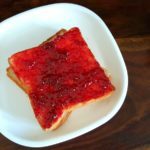 It makes a great breakfast option as it can be served with any achaar or simple tea. It can also be taken while traveling as it has a good shelf life. 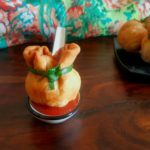 Masala poori is a combination of whole wheat flour and few spices. Masala puri should puff up. The dough should be semi-stiff. More stiff than that of rotis and softer than that of samosas! Take care not to roll it too thin. Adding hot oil while making the dough also helps in this! 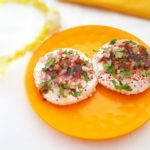 Go through mouth-watering Bathua poori or Dal poori recipe also. Meal Idea: Masala poori can be served with aloo chole and sooji halwa. You can add in some fresh coriander, green chilies too. 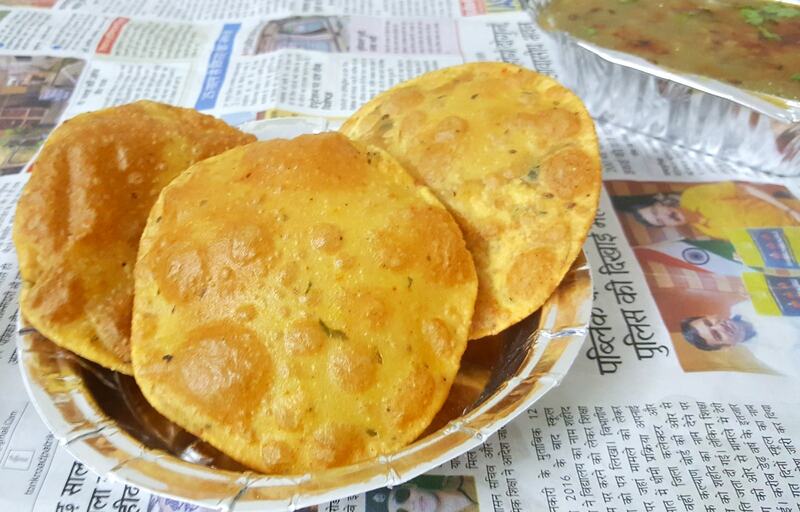 Collection of Indian deep fried flattened bread (pooris). 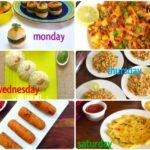 These recipes can be prepared and served any time during the day and universally matches up with a lot of gravies. 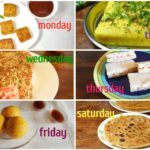 For recipes of Pooris Click HERE. 1. In a large bowl mix all the ingredients except oil. 3. Now add 2 tbsp hot oil and mix. 4. Use water to knead a dough. 5. The dough should be semi-stiff. 6. The dough has been punched a lot during kneading. It’s tired. Let the dough rest for 10 minutes. 7. After 10 minutes, re-punch the dough. 8. Make into balls and flatten them. 10. Deep-fry in hot oil till golden. 4. Use water to knead dough.